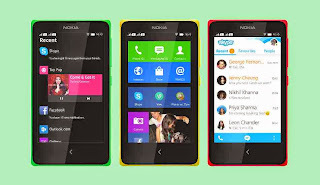 AnyIndo – In this article we will share an article for Nokia X user it’s Rooting Nokia X Via Framaroot. As we know that Nokia has Android device, then if Nokia user wants to root their device, this article will help them to realize their dream. Rooting has consequence, that's why you should understand about all the consequence before you do it. An example, consequence if you root your Nokia X, you'll lost warranty. But if you think warranty isn't important, let's rooting your Nokia. After you've downloaded file above, install it. Before you install it you need to check list Unknown Source option in Menu security. After installed already, open that application. In the app you'll see some options,first you can choose Install SuperSU and then choose exploit Gandalf. After you choose exploit then the rooting process will run, if it's successful there will appear a notification to reboot your device. You can install Google Apps on your Nokia X after you've rooted your device. Belum ada tanggapan untuk "Rooting Nokia X Via Framaroot"